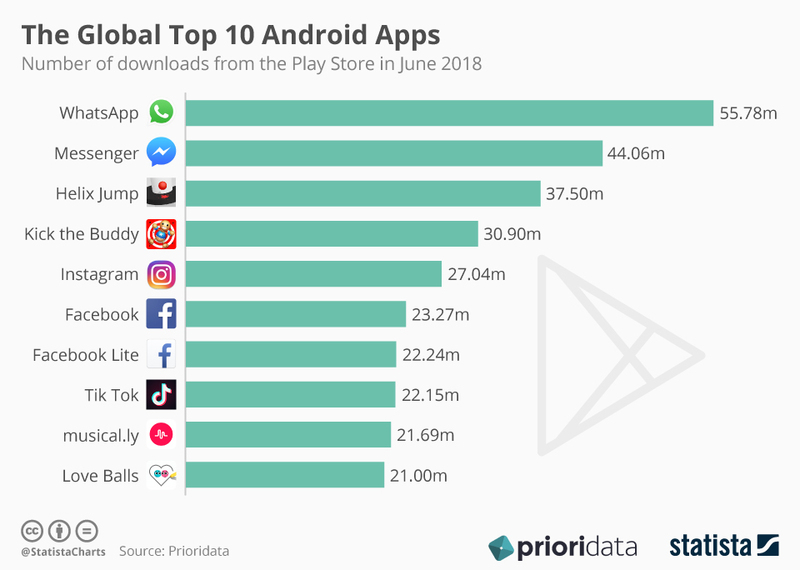 Recently, Priori Data revealed its statistics, showing the number of downloads top 10 android applications had. The data shows a surge in numbers, which collectively peak at 306 million. The list of those applications include WhatsApp, Messenger, Facebook, and other apps developed by Facebook, like Instagram. WhatsApp remained the most favourite with more than 55.78 million downloads and installations. Messenger closely followed this chatting application, with more than 44.06 million people having gotten it from Play Store, making it the second most popular application. The following infographic from Statista sheds more light on the statistics.